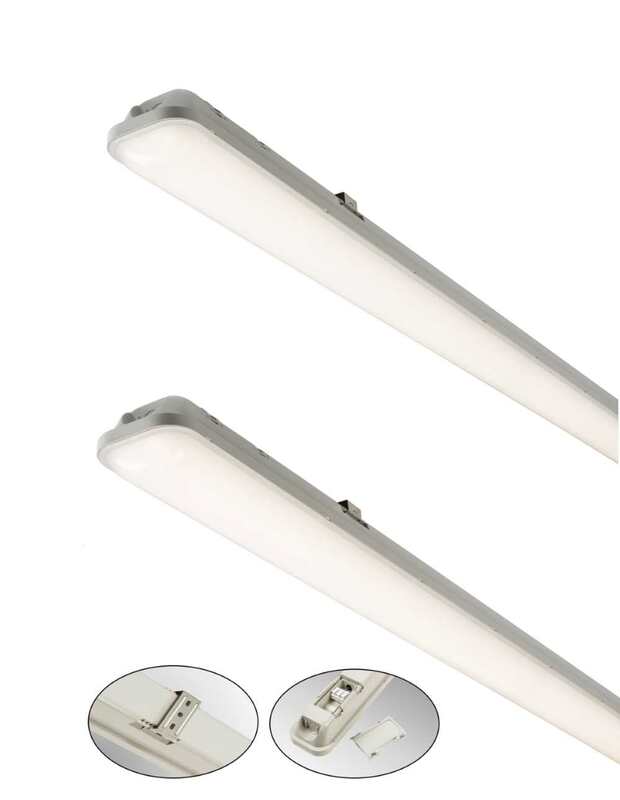 230V, IP65 LED non-corrosive fittings, Supplied in 4000K Cool White, new slimline low profile design. Durable, robust polycarbonate base and diffuser, optimized for LED use. Surface mounted or suspended. Supplied with LED driver and dedicated LED light source with an aluminium heatsink. Innovative wiring system enables the luminaire to be fed from outside without the need to open the product at all. Supplied complete with terminal blocks for series wiring. Wiring via rear access terminal box. Low energy, long life and maintenance free makes it an ideal alternative to conventional T8/ T5. Adjustable presets include Sensitivity/Time delay/Lux Sensors are preset at 10min time delay and 24hr activation.